There’s no doubt about it, Match Play is exciting. But most people don’t get to play this format at their local club. It is just you against your opponent, a series of 18 one-hole contests that allows for a player to have a bad hole but not take themselves completely out of the competition. 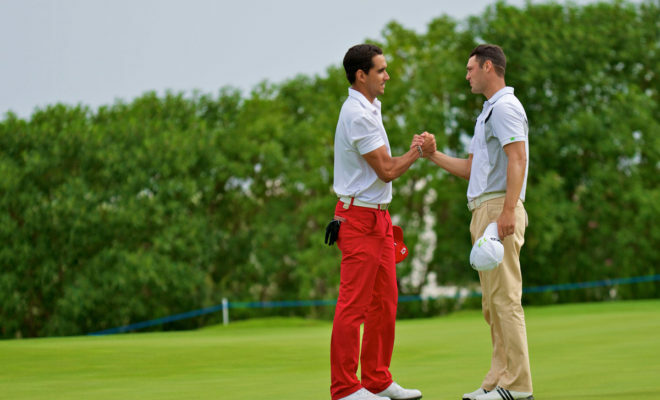 But before you dive into a round of match play, let’s take a look at the major Rules of Golf differences between Match Play and Stroke Play. Rule 2-1 states that a match consists of one side playing against another side over a stipulated round unless otherwise decreed by the Committee. The game is played by holes rather than total strokes. 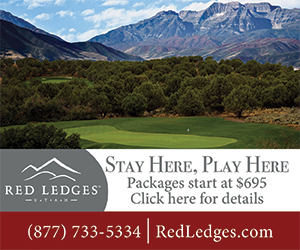 Competitors win holes and this is where you hear terms “1 up” or “2 up.” The lowest score on the hole wins the hole. 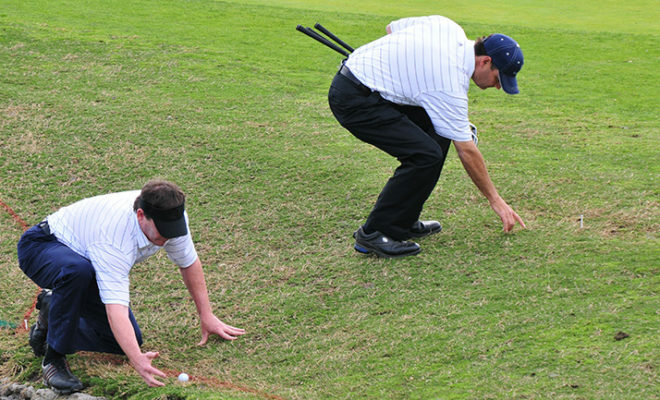 If two players score the same on a hole, the hole is considered to be halved. A match is won when one side leads by a number of holes greater than the number remaining to be played (i.e 6 up with 5 holes to be played, match is won 6 & 5). Unlike in stroke play where a competitor must hole out on every hole, a hole can be conceded at any time prior to the start or conclusion of that hole. More commonly though, players will concede their opponent’s next stroke (i.e. a short putt). In stroke play, Rule 3-3 allows for players to play a second ball when there is doubt arising to a particular situation. In match play this is not the case. 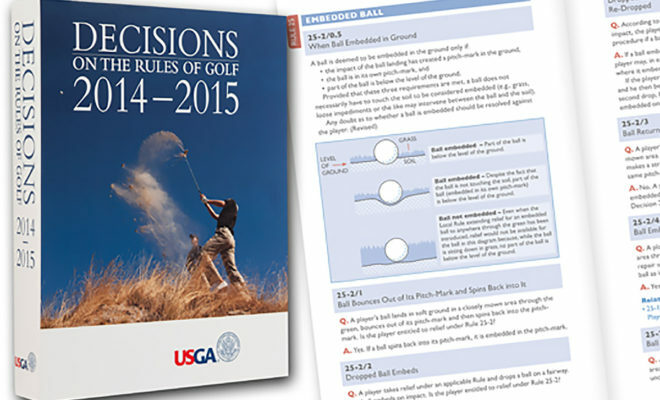 The Rules state via a note that players cannot play a second ball in match play. 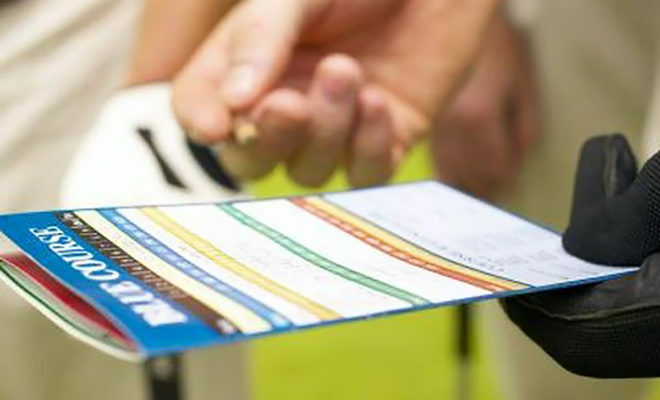 If doubt or a dispute arises in match play, a player may make a claim as provided in Rule 2-5. Basically, a player needs to make a decision on how to proceed with the situation. 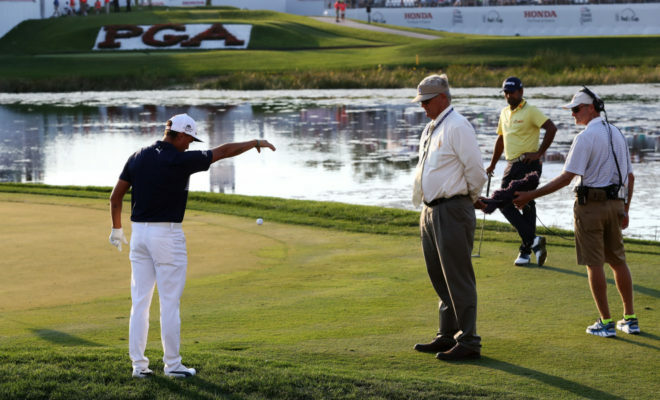 If an opponent disagrees or thinks their opponent is proceeding incorrectly, the opponent has the opportunity to lodge a claim before anyone tees off on the next hole or in the case of the last hole of the match, before all players in the match leave the putting green. In stroke play, there is no penalty for playing out of turn unless a significant advantage is being gained. 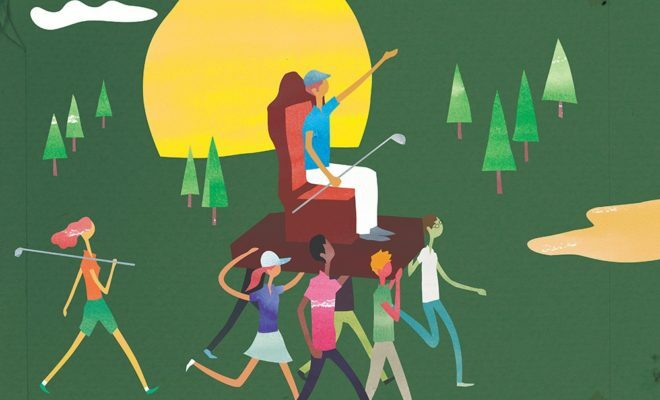 This is why “Ready Golf” is highly encouraged to help with the pace of play. In match play, this is not the case. During play of the hole, the ball farthest from the hole is to be played first. If a player plays when the opponent should have played, Rule 10-1c tells us that there is no penalty but the opponent may immediately require the player to cancel the stroke made and play in the correct order. This is important because the order of play can often dictate a player’s strategy. A one-stroke penalty in stroke play stays a one-stroke penalty in match play (Example: A player moves their ball at rest). Generally speaking, a two-stroke penalty in stroke play becomes a loss of hole penalty in match play (Example: A player plays a wrong ball). 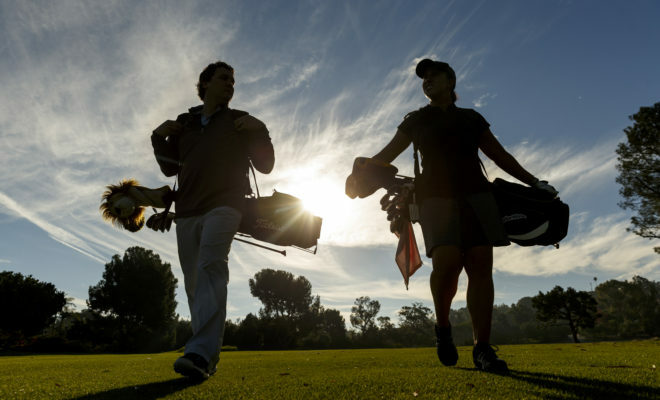 Match Play is an exciting and fun form of play and can be enjoyed by players of all skill levels. It was the original form of play when the sport was created and hopefully more players and clubs participate in this great form of play. Since rejoining the SCGA in 2011 from the NCGA, Jimmy helps administer SCGA, CGA and USGA qualifiers/championships, and is featured in the Rules Crew video series, teaching the Rules of Golf to SCGA members and its clubs. Jimmy is also a member of a Rules & Competitions Department that annually scores some of the highest marks in the country on the USGA Rules of Golf exam at the USGA/PGA Rules workshops. He is a member of the USGA’s Women's Amateur Public Links Committee and works as a rules official at the WAPL Championship annually. A native Southern Californian, in his free time Jimmy enjoys hanging out with friends, playing sports and going to the beach.